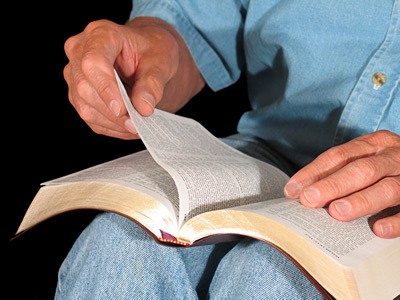 Most Christadelphians follow a plan of Bible Reading called The Bible Companion. There is nothing special at all about this plan. It is simply a method by which you can be sure that by the end of a year, you have read the whole of the Bible, Old Testament once and New Testament twice. The plan starts on January 1st in Genesis, Psalms and Matthew and works its way through the scriptures as the year goes along providing around 4 chapters per day. This site has been created by Christadelphians. It is dedicated to those who wish to use this plan, and we trust you will find it helpful. If you don't want today's readings, simply click a month on the left menu and choose a date from the page which appears. If you would like to join our mailing list and have the day's readings notes emailed to you each day, then click the 'Mailing List' link on the left and fill in the form to join our mailing list. Daily Bible Readings on Facebook. The ©Bible Companion, by Robert Roberts, is used by permission of the Christadelphian Magazine and Publishing Association Ltd., by whom all rights are reserved.